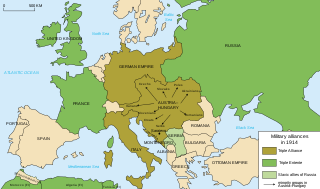 The Entente Cordiale was a series of agreements signed on 8 April 1904 between the United Kingdom of Great Britain and Ireland and the French Republic which saw a significant improvement in Anglo-French relations. Beyond the immediate concerns of colonial expansion addressed by the agreement, the signing of the Entente Cordiale marked the end of almost a thousand years of intermittent conflict between the two states and their predecessors, and replaced the modus vivendi that had existed since the end of the Napoleonic Wars in 1815 with a more formal agreement. The Entente Cordiale was the culmination of the policy of Théophile Delcassé, France's foreign minister from 1898, who believed that a Franco-British understanding would give France some security against any German system of alliances in Western Europe. Credit for the success of the negotiation belongs chiefly to Paul Cambon, France's ambassador in London, and to the British foreign secretary Lord Lansdowne. The relations between France and Germany, since 1871, according to Ulrich Krotz, has three grand periods: 'hereditary enmity', 'reconciliation' (1945–63) and since 1963 the 'special relationship' embodied in a cooperation called Franco-German Friendship. The Relations between the Empire of Japan and the Russian Empire were minimal until 1855, mostly friendly from 1855 to the early 1890s, then turned hostile over the status of Korea. Diplomatic and commercial relations between the two empires were established from 1855 onwards. 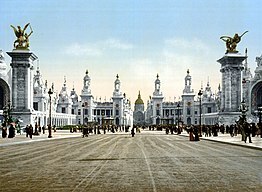 The Russian Empire officially ended in 1917, and was succeeded by Communist rule formalized in 1922 by the Soviet Union.